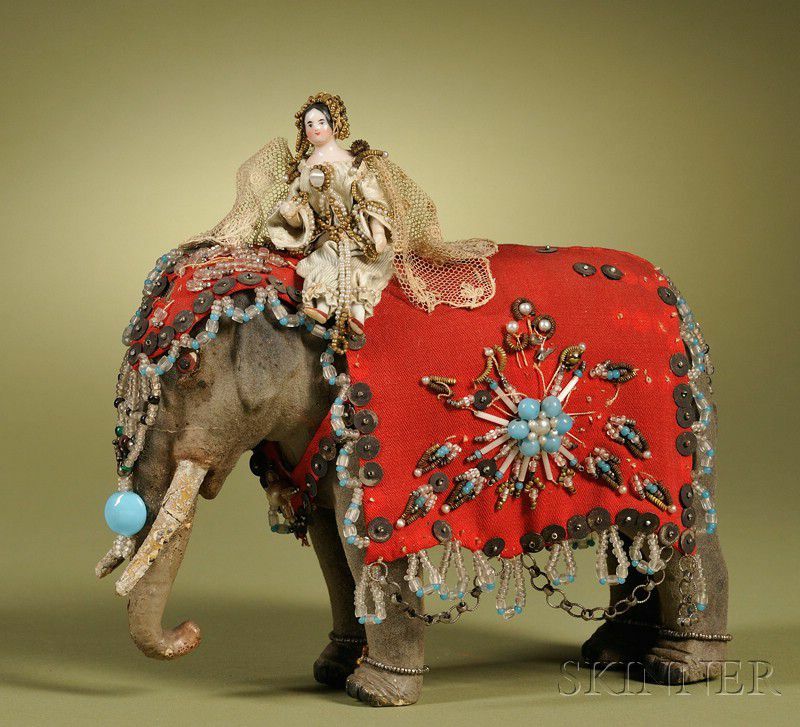 China Doll with Wood Body Riding an Elephant, Germany, c. 1860, doll ht. 3, glazed porcelain shoulder head with painted and molded features, molded black short hair, jointed wooden body with china limbs, orange painted shoes, wearing a beaded costume, mounted atop a German composition flocked elephant, lg. 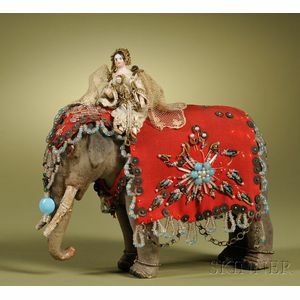 7 in., with painted eyes and ornate red blanket with beadwork, (very good, some bead loss, re-glued tusk).